Hunting around for the perfect mountain chalet getaway or year round living? 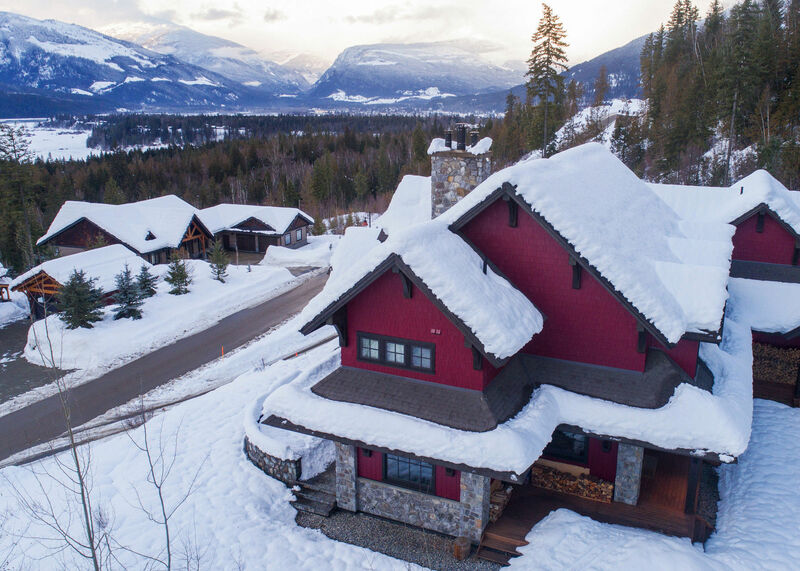 Consider this luxury home in Revelstoke that just went up for sale in one of the best ski towns in Canada. Those who have ski’d here know it’s hard to beat and you don’t get the overcrowded buzz that Whistler or Banff has these days. Situated on scenic Mackenzie Court cul-de-sac with commanding views of the mountains and town below. Fresh powder fans will be happy to know that this home is just steps from the high-speed gondola at the base of Revelstoke Mountain Resort. This custom built home went up in 2012 and has just over 5,100 square feet of luxury family chalet living. There’s plenty of room in here for guests, all their ski equipment and it’s located in a nice quiet neighbourhood. This gorgeous Revelstoke luxury ski chalet comes with six bedrooms and four and a half bath. It’s now on the market for sale at $4,225,000 CAD and it’s listed with Sotheby’s International Realty agent Georgette-MarieJolin-Oberoi. You can call her at 250.551.4519 to learn more about this property or perhaps book a viewing.